Are you a business owner or manager interested in promoting your business through the arts? Consider a donation for our live or silent auction! The attendees at ARTrageous are some of the most involved, active, and influential members of our community; making a donation is a great way to show your community involvement and raise awareness for your business. 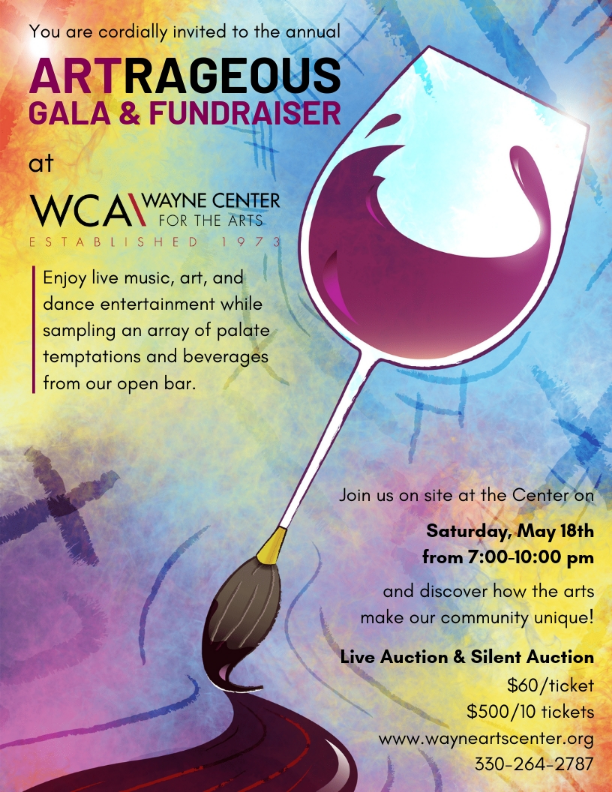 Plus, all donations are tax-deductible and help support the arts in Wayne County! Download our donation form or contact us today! For more information about sponsorship, donations, or program advertising, please contact Lynn at lynn@wayneartscenter.org.